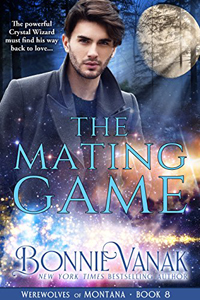 Being Bonnie Vanak: RWA is coming up! I'm in denial that July is here. We barely returned from S. Dakota, where I was researching my next Harlequin book, and now RWA is in two weeks. I'll be there, signing my Harlequin books to raise money for literacy. 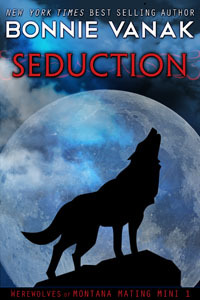 And I will also be giving away copies of Seduction, the first book in my Mating Mini series of werewolves and dragons. If you've never been to RWA, it can be quite overwhelming. Imagine thousands of people all gathered together and that is the conference. It's one reason I always try to get a room at the conference hotel instead of the overflow. 1. Bring a lightweight sweater. Although Orlando is, as a friend put it, "the seventh circle of hell in summer," the hotel will be icy cold with the a/c. 2. Carry a small container of eyedrops to wet your contact lenses. Hotel air is quite dry. 3. Many publishers have book signings where they give out FREE books. If you are flying, you can ship them home. Don't wait until Saturday night or Sunday! It gets crowded. Bring a rolling backpack or suitcase for the publisher signings and the literacy book signing. 4. Dress is usually business casual, except for nights like the RITA awards. Wear comfy shoes...all that walking will wear out your feet! 5. When you first register you will get a tote with a lot of stuff. Bring this up to your room so you don't have to lug around all the material. But use the tote - it comes in handy to stash books, handouts, cards. 6. Be sure to download and utilize the RWA app for a check on your schedule!